The girls basketball team (21-2 overall, 12-0 league) defeated Thousand Oaks 56-34 in the round I of CIF. Their next game is Saturday, February 9 at 7:00 pm on the road against Arroyo Valley. 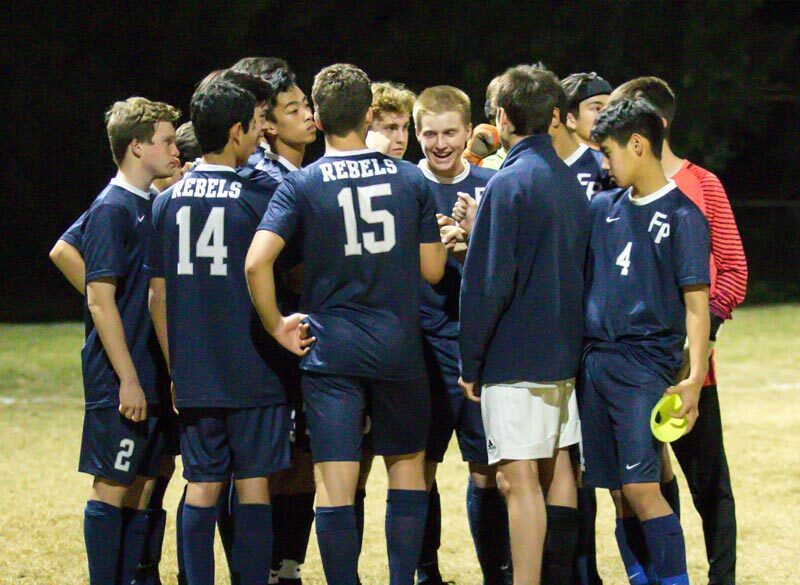 On the boys’ side, the Rebels (14-11, 5-3) face their first round CIF game today against Temple City (18-9, 8-2) at 7:00 pm on the Temple City field. After a bye week in round I of CIF, girls soccer (22-0-1, 10-0) faces Moorpark (13-4-4, 6-4) today at 5:00 pm on the St. Francis field. Boys soccer (14-6-1, 5-1) defeated Aquinas in their first CIF match—they move on to face Pacific (17-7-1, 10-1-1) this Saturday in San Bernardino. After their best season in many years, the girls water polo team (14-7, 8-3) defeated Nogales and Heritage to qualify for this Saturday’s away match against Fontana (19-7, 9-1). Keep checking back at the athletics calendar to see where CIF takes these strong teams.